Precision Block Level that we provide is used for high precision work. Precision Block Level, offered by us, is available in different sizes. Our Precision Block Level is used in diverse industries such as Automobile industry, Construction industry and Dyes & Chemical industry, etc. We offer Precision Block Level with RSK-block and frame levels. 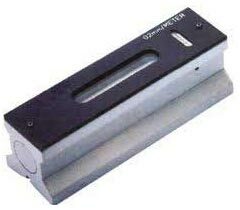 Precision Block Level provided by us, is available in widely known brands such as RSK & FSK Japan.